Thank you for signing up for the Building Sales History - you are almost done! We provide this invaluable information to our clients only, but as a courtesy, we will give you access for 24 hours to view sales history for all buildings, after that you will need to have your realtor give you this information. If you want to work with us, just give us a call and we can also give you the up to date sales history and free access to our floor plans. We floor plans to over 450 buildings in a data base, call us at 604-671-7000, ask for Les, Sonja or Stephanie. Fill in the following details to sign up with www.BCCondos.net. Your account will be activated instantly and you will have unlimited access to view building sales history. If you put a fake name, telephone number, mailing address or email address, your account will be terminated and deleted by management and your IP address will be barred for future access. Your IP address is 52.55.186.225. Username already exists! Please try again with a different username or click here to get a new password for existing account. Please add a comment or request in the text box below. I would like to view sales history and am thinking of selling my place. I am just curious to see what the sale prices are. I confirm that the information I have provided is true and correct and acknowledge that management will suspend my account if my information is found to be false. I also acknowledge that by signing up I may be contacted by a realtor from www.BCCondos.net or Re/Max Crest Realty (Westside) or www.CallRealEstate.ca. I will also permit to receive real estate related emails about market activity in my area and maybe contacted by one of our area specialist. Dear Clients, our Sales History information is behind by approximately 1 year - we cannot post the sale history of any property until the property has transferred to the new owner, at that time it becomes public record - please see the attached sample of a typical sales history report that you will see after you have signed up (attachments number 1 & 2). 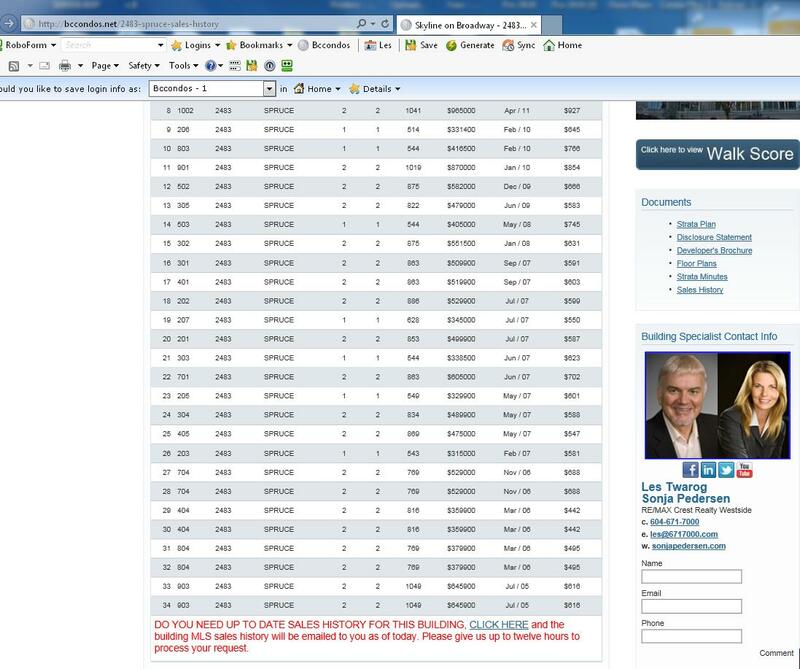 Once you see the report for any particular building and want the sales history as of today, we can provide you with that info by requesting or clicking on the "Sales History as of today" button (attachment #3 sample) You will get a report like this and/or any other particular building that you are interested in. If it is another building, please put the building address in the notes section of the request. 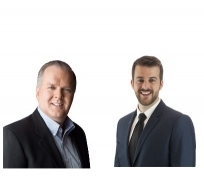 Please give us up to 12 hours to provide you with that updated Sales History report. If you said that you are working with a realtor while signing up, you will been given access to our service for 24 hours as a courtesy gesture for signing up (This service is set up for only clients that want to work with us but we will give other agents clients 24 hour free access). Thank you for signing up to our Sales History Service. Should you want to work with any of our team members, we can also offer you a complimentary floor plan access to www.vancouverfloorplans.com We have floor plans for over 450 buildings in Downtown Vancouver, these floor plans are attached to most MLS Listings + we are expanding to the burbs with this service - a work in progress, stay tuned. Disclaimer: NOTICE TO ALL PEOPLE READING SALES HISTORY DATA OR PLACING RENTAL NOTICES OR ANY OTHER COMMUNITY BASED NOTICES ON www.BCCondos.net, You are responsible for conducting your own investigation regarding any and all claims made by prospective renters or property owners or agents as to the accuracy of all content. You assume all liability for use of any information you find on www.BCCondos.net (BCC) or any other associated sites under BCC control. 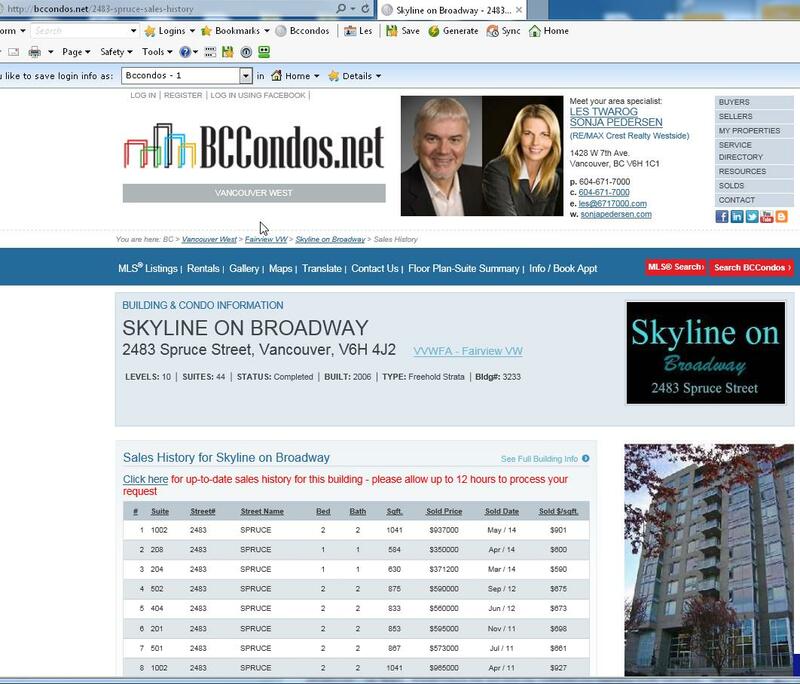 The operators of www.BCCondos.net assume no responsibility and in no way warrant the accuracy of the information contained in any of the pages published here once you signed up. Our sales history data comes from various sources and is not guaranteed. This data is for information purposes only and is not to be used as a legal instrument. If you need the actual certified data, please go to BC Assessment, MLTSA or BC Online for that info. We provide no warrantees or guarantees. No ads are created directly by BCCondos or Re/Max Crest Realty (Westside), www.callrealestate.ca or www.bcfloorplans.net Re/Max Crest Realty (Westside) does not provide Rental Services or Rental Management Services, please contact www.rentyvr.ca or www.rentcan.ca if you have a rental related issue.